Flexi-rods help achieve naturally gorgeous curls. 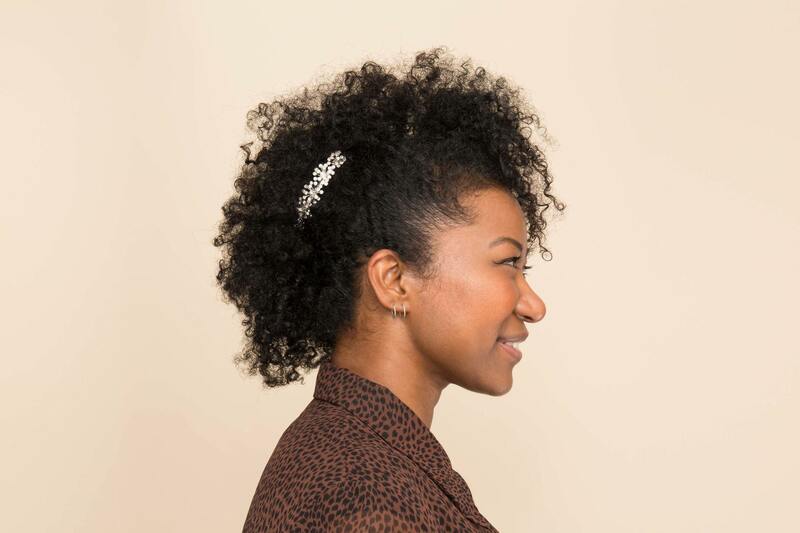 Use a headscarf to dress up your curls! 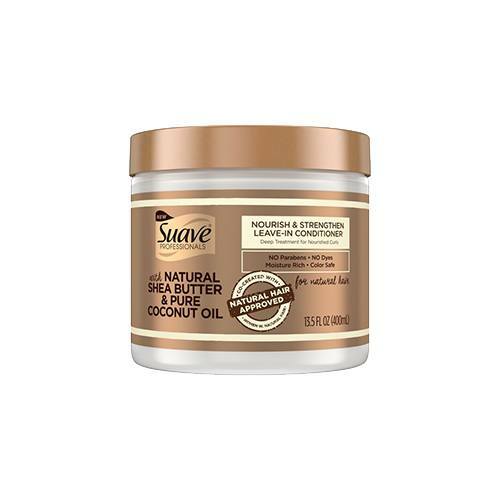 Great for newbies and seasoned naturalistas alike. 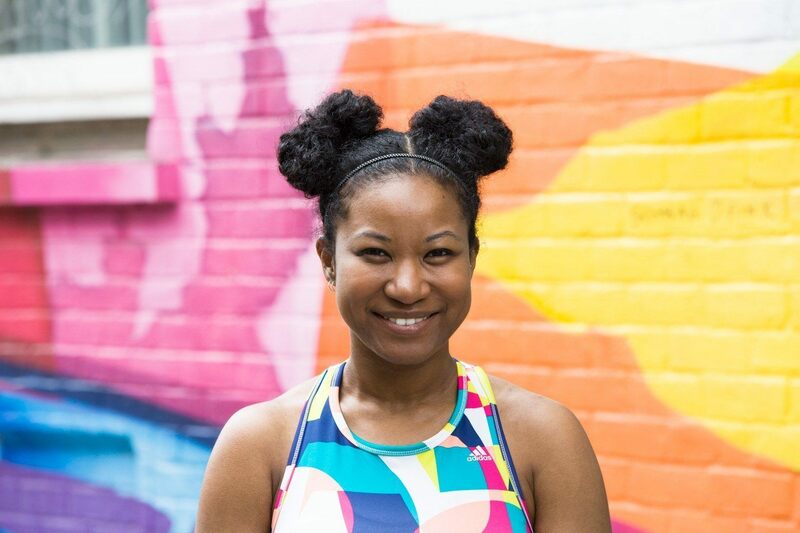 While beauty tutorials can be a super helpful resource in finding your next signature natural hairstyle, it’s true that some videos or step-by-step guides can a bit too complicated for beginners to master on their own. 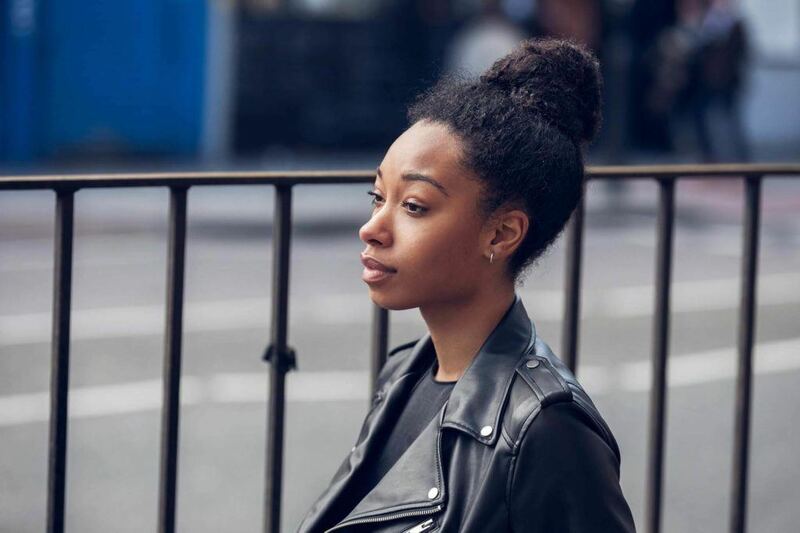 If you are tired of hair guides that are tricky or downright confusing to understand, here are some easy natural hairstyle looks for beginners that won’t leave you in the dark. 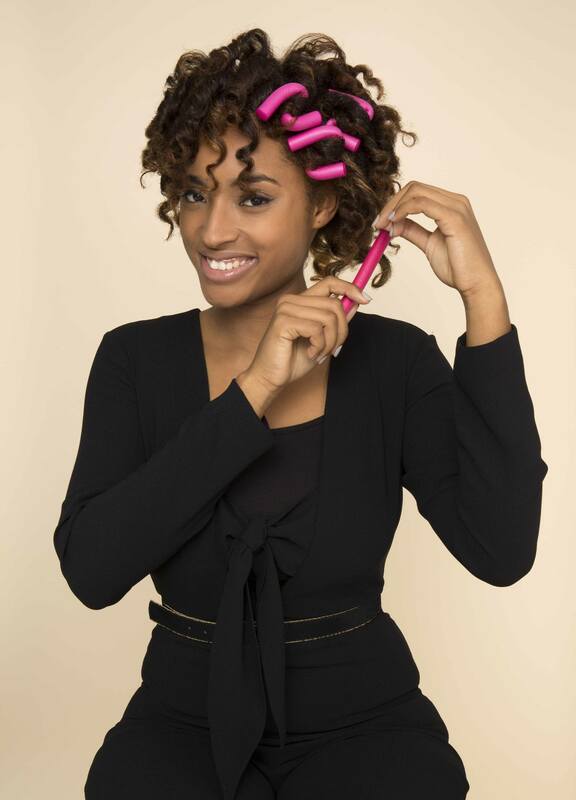 Flexi-rods are a great way to achieve a gorgeous natural curl, and they are usually pretty inexpensive and available at your local beauty supply store. To use your rods properly, you’ll want to make sure your hair is clean and conditioned first. Then, while your hair is still damp, you’ll want to use a good leave-in conditioner to help add some extra moisture to your look. 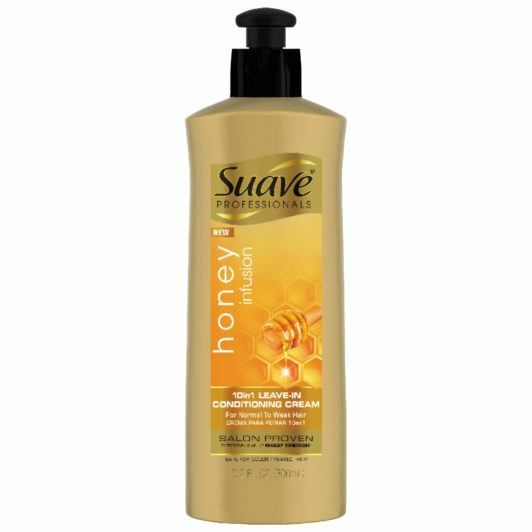 Use a product like Suave Professionals Honey Infusion 10-in-1 Leave-In Conditioner, and use a gentle detangling comb to distribute your product evenly through the hair. To use your flexi-rods, roll the ends of each section towards the root, twisting your rods to hold your curls into place. Use your rods all over your head, starting from the back, and working your way to the front. Once your hair is completely dry, remove your rods with caution. A top knot makes a great style when you are running short on time, as it takes under 10 minutes to create this chic look. To create your bun without any hangups, it’s always best to start with washed and conditioned hair. Use Suave Professionals Sulfate-Free Cleansing Shampoo and Suave Professionals Moisturizing Curl Conditioner to cleanse and remove any knots from the hair. Then, once your hair is dry, use a comb to carefully create a ponytail at the top of your head. To create your top knot, you’ll want to use a donut bun maker to get that flawless bun. Gently slip the bun maker over your ponytail, and then wrap and tuck your bun into place with bobby pins. Secure your look with hairspray for long hold. Double buns make a chic and trendy look for shorter lengths; the even better news is that they aren’t too difficult to create. 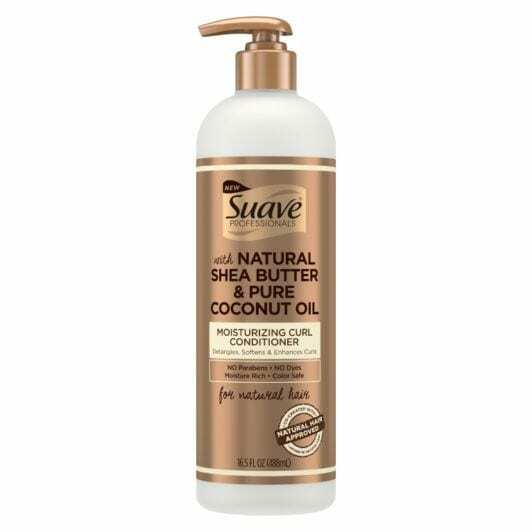 Start this look by applying a good leave-in-style product like Suave Professionals Nourish & Strengthen Leave-In Conditioner evenly throughout the hair. Then, use a comb to part your hair in the center, and use elastics to create pigtails on either side of the head. To create your space buns, carefully wrap and tuck your hair into two buns using bobby pins. A fauxhawk is one of those great easy natural hairstyle ideas that doesn’t skip out on edge. And while this look seems complicated, it really isn’t that hard to create. To create your style, start by applying some styling gel on either side of the head. Then, to create that mohawk-like appearance, carefully brush the sides of the head and pin into place with bobby pins. If you want to take your look a step further, use some vintage barrettes to help dress up your style. 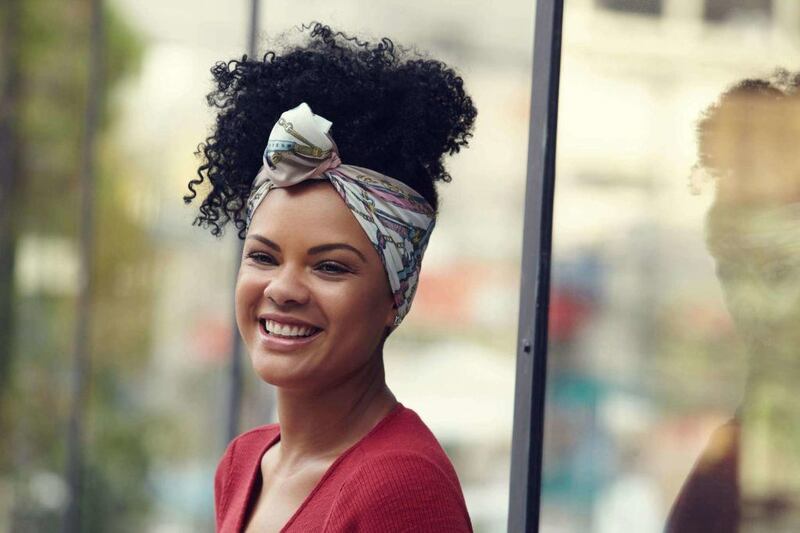 Gorgeous printed hair scarf always make an easy and gorgeous look, as they dress up classic braids, twist outs and pineapple updos without any breakage or damage. Try Colorful Natural Hairstyle Ideas!